… and back online after a long break. The break was caused by my being encouraged not to blog whilst travelling because we (well, Carol) had read some disturbing nonsense about insurance companies using published absence as a potential excuse to decline claims should wandering burglars happen by. A sad world, isn’t it? Anyway, here we are again. Our 7-week trip was decidedly indifferent [Ed: that’s being kind – it was crap.] vis-a-vis the weather. For some time the silly old Mediterranean seemed to attract and hold firmly on to some nasty storm system so we had quite a bit of rain. Fortunately, we didn’t have as much rain as the poor people in the Vars region who suffered fatal flooding. The French newspapers didn’t seem to be able to believe the conditions for a couple of weeks, either. Mon Dieu, c’est grave. Eventually, however, meteorological sanity returned, normal service was resumed and our final three weeks were gloriously sunny and, sometimes, almost too hot (35°C/95°F). Largely due to the vagaries weather, we stayed put for longer than anticipated in one particular site and didn’t try much new. 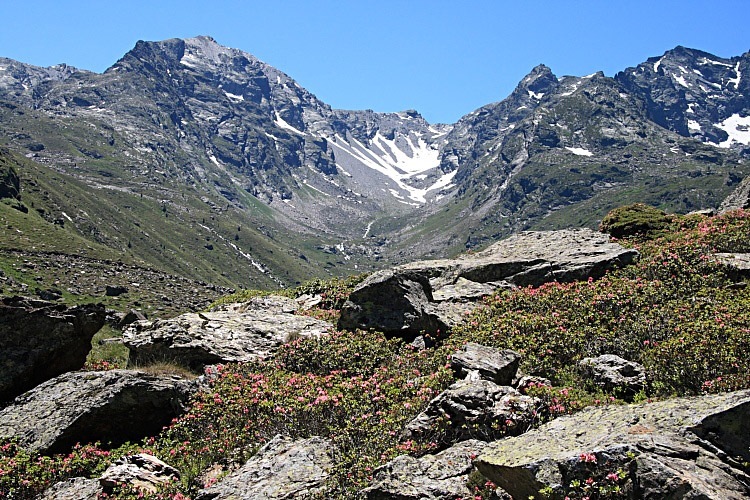 As a result, our scenery photography suffered a little though Carol did finally get a few worthwhile shots in the Pyrenees. ‘T was a very educational trip for nature and wildlife, however, and we’ve returned with far too many images of critters and plants. Carol has added greatly to her wild plants catalogue and I to my Lepidoptera and Odonata catalogues. Once the marathon job of sorting and sifting is done, a selected set will be published as usual. Meanwhile, this was my first trip away armed with TheBeast so I was keen to try a few new things. After an awful lot of failed attempts, I did finally manage to catch some birds in flight. 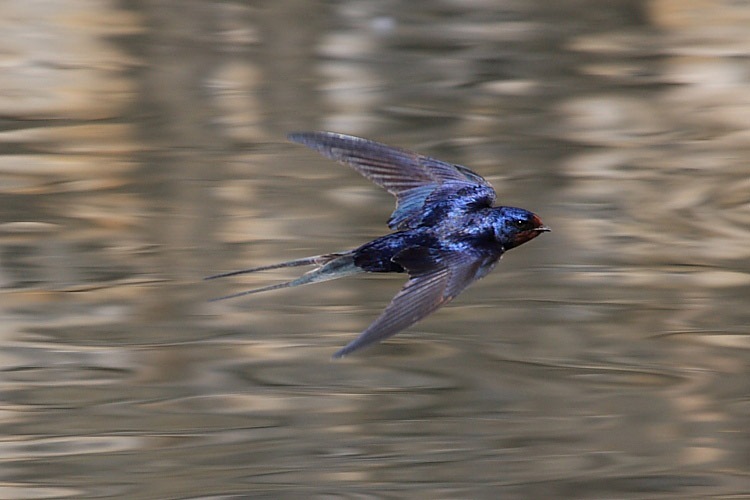 Darwin, aren’t swallows fast!? 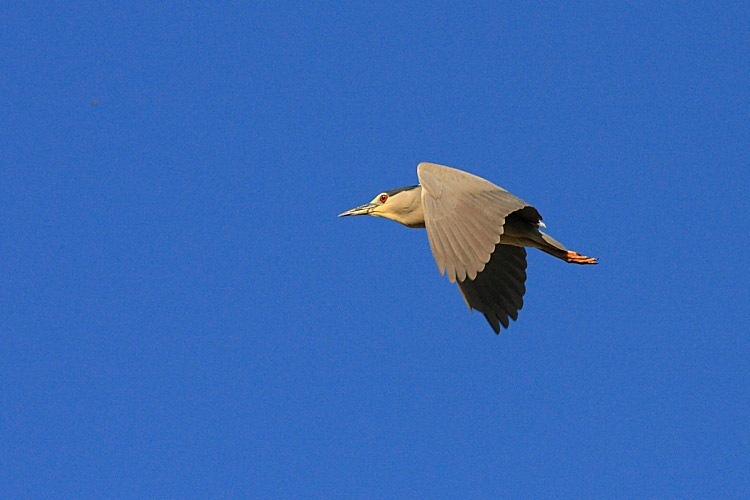 The night heron was much more co-operative though it did seem a little confused about the time of day. To be fair, the book only says they are mostly active at night, and it was evening (hence the quality of the light). We spent our last three weeks at our oft-visited sheep farm in Fanjeaux. It has a lake overrun with frogs which is, I suspect, what attracts the herons. There are also fish, now that the lake has been restocked after what seemed to be a localized near-extinction event. 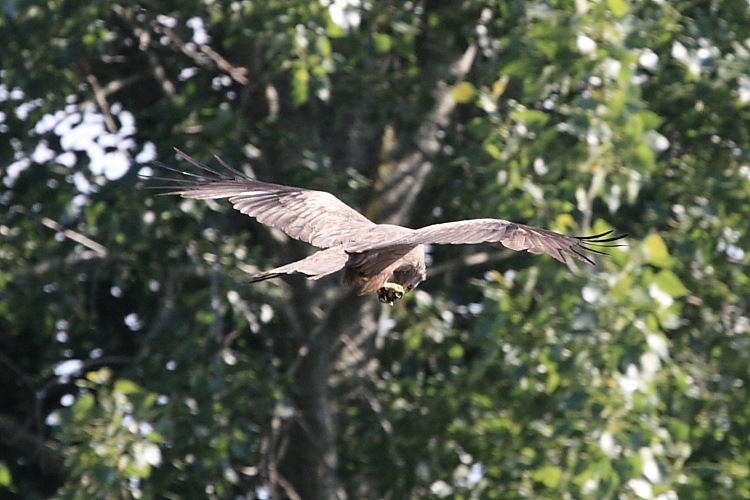 One evening the lake was visited by a cruising black kite and, though the picture isn’t great, I can’t resist using it because it has clearly caught something in its talons. Maybe I’m going to need a new name to replace Traveblog?